Today, I am doing a bourbon review that I have wanted to do for a long time. I remembered it with mixed feelings from my college years, and I finally got around to giving it a whirl again and organizing my thoughts on Rebel Reserve Kentucky Straight Bourbon Whiskey. Rebel Reserve is the big sibling to Rebel Yell, and it is (like Rebel Yell) distilled at Heaven Hill for the Luxco brand. Also like Rebel Yell, Rebel Reserve is a true wheated mash bill, filling in wheat instead of rye in the grain recipe. There is no age statement on Rebel Reserve, but I suspect it is about 6 years old, about 2 years older than Rebel Yell. Rebel Reserve is also bottled at 90.6 proof (45.3% abv), compared to Rebel Yell’s 80 proof. On the nose, Rebel Reserve is very reminiscent of a younger wheated bourbon. There are notes of dense caramel, black cherries, and brown sugar. However, the nose also has that off-putting cherry aroma that can be a part of Evan Williams’ products from time to time. The palate is very one-tricked with a lot of caramel and sweet corn syrup coming through, with very little complexity. As the whiskey goes into the medium-long, very sweet finish, those weird cherry notes come up again for me, but more sour this time, as if those cherries have gone rotten. On the whole, I am not a big fan of Rebel Reserve. If you read the blog a lot, you probably know that wheated bourbons tend not to be favorite bourbons unless they have a lot of age under their belt. Rebel Reserve reminds me a lot of Larceny and Maker’s Mark, two other wheated bourbons that I have reviewed and found lacking as well. That said, if Larceny and Maker’s Mark are bourbons that you enjoy, I think you will really enjoy Rebel Reserve, and it definitely sits at a price point that makes the buy a worthwhile experimental purchase. Were it my money, I would go for Old Weller Antique for a wheated bourbon under $25. Since it’s your money, don’t be afraid to give Rebel Reserve a try, especially if you enjoy other young wheated bourbons. My grade: C-. Price: $20-25/750ml. At the price point, Rebel Reserve is a fine deal, and it won’t break the bank if you decide that you don’t care for it. Most importantly, drink your bourbon responsibly, and let it ride! Today, I am reviewing John E. Fitzgerald Larceny bourbon. This is a relatively new product from Heaven Hill Distillery, makers of Elijah Craig, Evan Williams, and Rittenhouse Rye, all fine whiskeys at good prices. As it is, Larceny has high standards set for it. It has to live up to Heaven Hill’s tradition of great value, but it also has to live up to its namesake, John E. Fitzgerald. Fitzgerald was a bourbon maker in the late 19th century, who eventually sold his distillery to Julian Van Winkle to become a treasury agent. After the sale, Fitzgerald became famous/infamous for sneaking into the Van Winkle distillery to obtain whiskey from his favorite barrels. Over time, these became known as the “Old Fitzgerald” barrels. In honor of Fitzgerald’s discerning tastes, Heaven Hill created the Old Fitzgerald line of wheated bourbons. 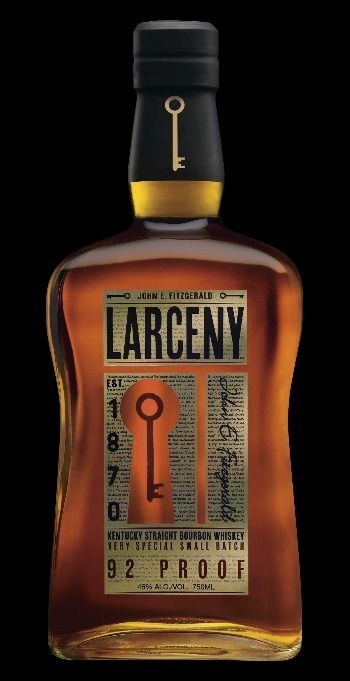 Larceny is the newest addition to this line, a six-year old bourbon bottled at 92 proof. Before giving my review, I will openly admit that I am not a huge fan of wheated bourbons. Maker’s Mark, Weller, and the Old Fitzgerald line tend not to suit my palate as nicely as other bourbons. That is not to say that I hate all wheated bourbons. William Larue Weller and W.L. Weller 12 yr. are both very enjoyable (especially the former). I just want to acknowledge my bias coming into the review. On the nose, Larceny is dense and rich. There are notes of caramel, butterscotch, corn, vanilla, and brown sugar. I think the palate brings the whiskey down, though. There is a dense caramel sweetness, balanced by hearty cereal grain flavors. The back of the palate picks up cinnamon and drying oak spices. The finish is medium to short, with the oak remaining along with some dense caramel. Overall, this is a solid wheated bourbon. 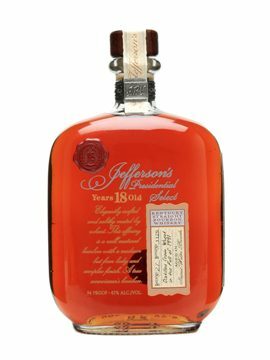 It is not especially expensive (usually around $25/750 ml), which makes it a very good value if you enjoy wheated bourbon. In most stores, this is cheaper than Maker’s Mark, which makes Larceny the better buy. However, I don’t see too much between them in flavor profiles. Larceny is not the bourbon for me, but that does not mean it isn’t the bourbon for you. My Grade: C-. Price: $25-30/750ml. For me, I leave this one on the shelf. There are better whiskeys at the price point, and I don’t think this would make a great mixer. Today, I am reviewing W.L. Weller 12 year-old, the self-proclaimed, “Original Wheated Bourbon.” It is made at the W.L. Weller and Sons Distillery, and bottled by Buffalo Trace. I have already reviewed Maker’s Mark on the site, which is also a wheated bourbon. This means that these whiskies are made from a mash bill that is comprised of only corn (at least 51%) and wheat. As you may recall, I am not a big fan of Maker’s Mark. I think it is overpriced, especially for what you get. However, Maker’s Mark is only aged 6 years, a rather short time, especially for wheated bourbons. One thing you commonly hear in the bourbon world is that wheated bourbons take oak well, meaning they dramatically improve with age in the oak. W.L. Weller is a bourbon label bottled at many different temperatures, ages, and proof points. The most famous in the bourbon world is William Larue Weller, part of Buffalo Trace’s Antique Collection (I have tried the 2010 bottling, and it is quite delicious). However, William Larue Weller is a bit beyond my price range. At about $28-$30 per bottle, W.L. Weller 12 year-old is a very nice price range, especially for a quality whiskey. The first thing you might notice about W.L. Weller 12 year is the color. It is a dark, rich amber, which makes sense considering the time it spends in the American oak. 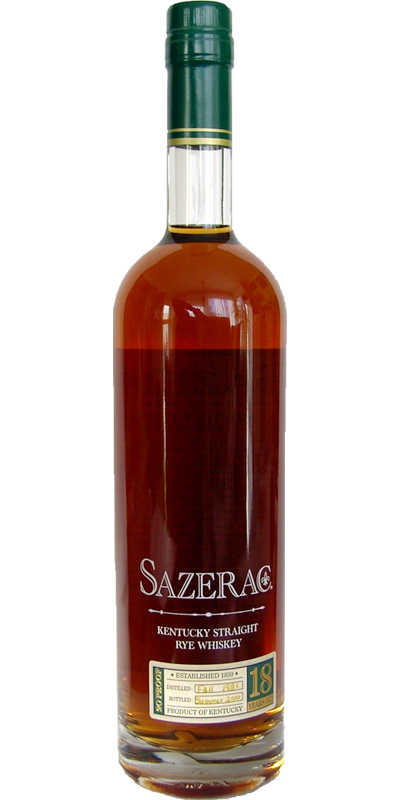 On the nose, it is very sweet (a trademark of wheated bourbons). There are rich scents of maple sugar, brown sugar, caramel, and butterscotch. There is also some nuttiness and some cinnamon spice that creeps through. On the palate, the sweetness continues. The first thing that jumps out is the caramel, which dominates the front of the palate. However, soft notes of butterscotch and vanilla begin to arise over time. As the whiskey moves to its conclusion, the oak begins to take hold, giving the whiskey notes of sweet oak and charred almonds. The finish is long and very warming. It starts out very sweet, as if somebody soaked a brown sugar cube in caramel and dropped in the back of my mouth. However, as time passes, the oak begins to show more, leaving a sweet, charred feeling that lasts a while. On the whole, this is a very impressive whiskey. A bottle was given to me as a birthday gift, but I would definitely buy it again. It seems like it would be a wonderful whiskey for the fall, so I plan to make it last until the leaves are turning to their gold and auburn hues. It definitely shows that not all wheated bourbons have to achieve the dross flavor profile that Maker’s Mark does. My grade: B-. Price: $25-30/750ml. If you like wheaters, this one should be in your cabinet; its a great day-to-day pour.